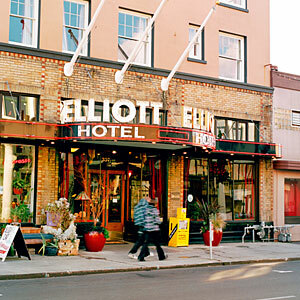 The Hotel Elliott was built in 1924 but has modern comforts like heated bathroom floors. A recent renovation actually halved the number of rooms, doubling the degree of attention, pampering, and space each guest receives. Plus, you can't beat the downtown Astoria location, convenient to a dazzling Northwest culinary scene. 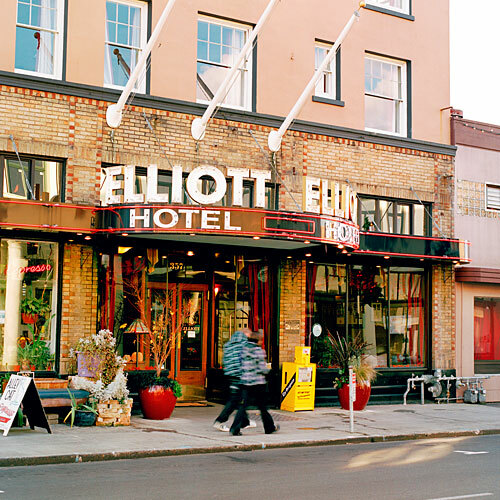 The Hotel Elliott was built in 1924 but has modern comforts like heated bathroom floors. A recent renovation actually halved the number of rooms, doubling the degree of attention, pampering, and space each guest receives. Plus, you can’t beat the downtown Astoria location, convenient to a dazzling Northwest culinary scene.